This is a STEM activity for students to apply their knowledge of electricity and circuits. 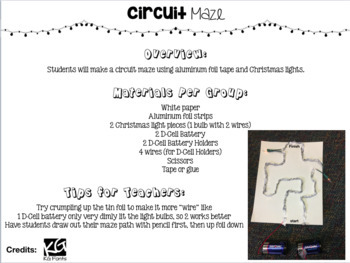 Students will create an electrical circuit in the shape of a maze using the engineering design process. 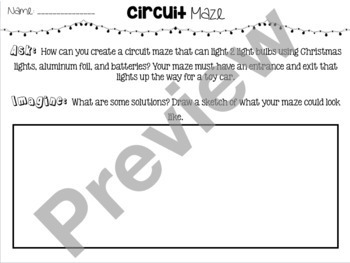 Students will use aluminum foil, Christmas lights and batteries to light up the maze for a toy car to travel through.